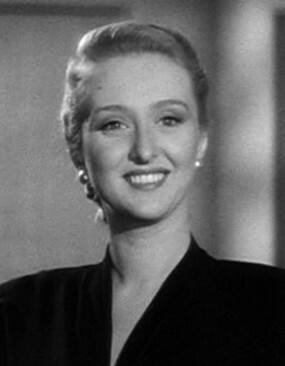 Celeste Holm had a floor-through apartment on Central Park West…with a grand piano. I was asked to play for her at a party and went there to rehearse the day before. She was reticent, it seemed to me, displaying no star persona. Well, I thought, she’s ninety-two. But no, I soon came to feel it was because her husband, Frank, was in the room, and she felt she had to defer to him. He was dictating the routining, the tempi, obviously in charge here…and she was simply marking the numbers, displaying little energy or verve. I’M JUST A GIRL WHO CAIN’T SAY NO/ I CAN’T BE PRISSY OR QUAINT –it was a number that required energy and personality, the number she’d introduced in Oklahoma sixty years ago, and here was this pale, pallid rendition coming out of her. Frank’s cell-phone rang, and he walked out of the room to take the call. Getting to Know Youlay open before me on the piano. “Shall we have a go at this?” I asked her. She was sitting listlessly beside me on the piano bench. “All right,” she replied. I began the vamp into the verse: IT’S A VERY ANCIENT SAYING/BUT A TRUE AND HONEST THOUGHT– all at once there was life, vivacity, intelligence behind the song –THAT IF YOU BECOME A TEACHER– whoa, what a difference. With Frank out of the room, she seemed to flower and become the radiant personality we all knew. And a few nights later, at a packed house-party, she brought the room to it’s feet. For me, a bittersweet memory. So long, Celeste.